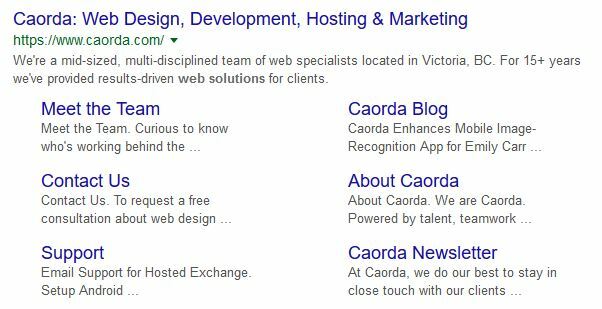 SERP (search engine results page) features are the specific sections of a search engine page after a user has submitted a search query. Everyone uses search engines like Google, but many are not aware of all the different sections in an SERP. Because of this, we decided to showcase the main features to know on Google’s (the biggest search engine around) SERP. 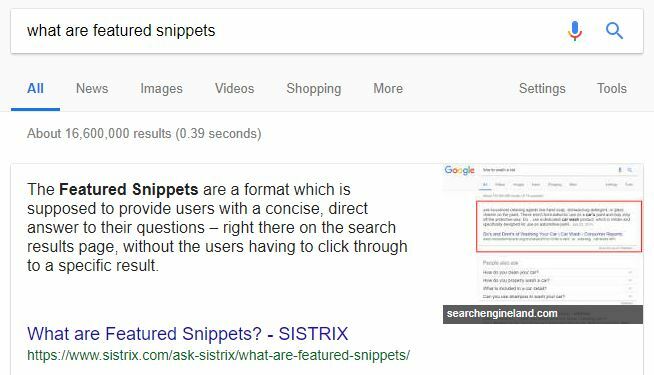 These SERP sections are designed to provide users with useful information without having to necessarily click on a result. These features include sections like Maps, Google My Business, Images, and more. Read on to learn more about each SERP section feature in detail. Below are the main SERP features to know, as well as some detail about each section. These are the website links that we mostly think about when we think about search results. These organic results are listed based on Google’s algorithm, which analyzes hundreds of factors in order to give the best possible results for the searcher. 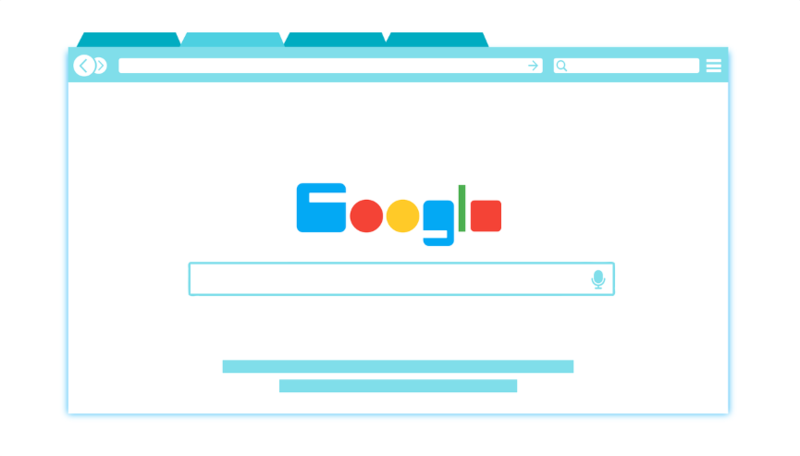 These results get a large bulk of search traffic, which is why businesses have started investing into search engine optimization (SEO) in order to get their websites optimized for Google’s search algorithm. *The below SERP sections also have icons next to them which represent the SEM-Rush icons clients see in our SEO reports. Summary answers to specific questions that are asked. These are boxes of additional questions related to the search query that appear on the search engine results page. Location-based results that are based on the search query and the user’s geographic location. The results that commonly show in the Local Pack are local businesses, especially those in the food & beverage / services industries). Although not organic results (businesses have to pay for them), they often take up the first few positions on the search results page, which is a valuable real estate for any business. 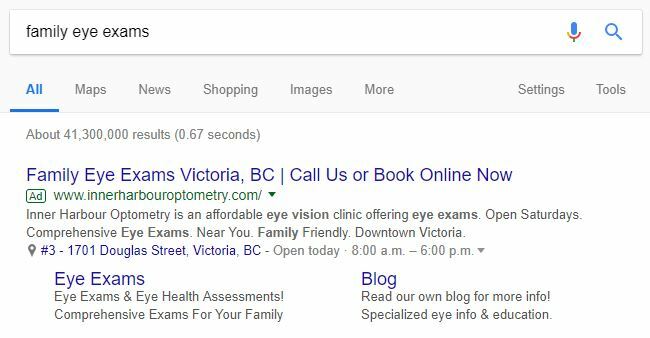 Google Ads at the top have a higher level of competition for a keyword compared to Google Ads at the bottom of the results page. READ: SEO vs Google Ads (SEM) – Which Search Strategy Is Best For Your Business? These are product ads of businesses using Google Shopping campaigns via Google Merchant Center and Google Ads. These results are a form of ads offered by Google. 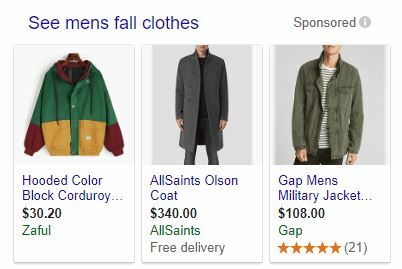 These ads show-up in the search results with product images, prices, brand, and more. Star ratings appear below websites in the search results if the site’s business has received Google Reviews. 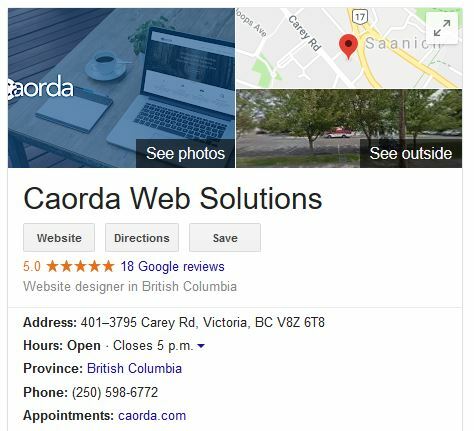 In order for a business to receive Google reviews, they must first have a verified Google My Business page (see below). This is a section that shows on the right-hand side of search results for a specific business, famous person, or famous place. If the business has setup their Google My Business account, this section will show the business name, website link, address, business hours, reviews, and more. This section can also provide specific background knowledge about a certain topic related to the search query. They are see often for searches related to famous people, places or things. 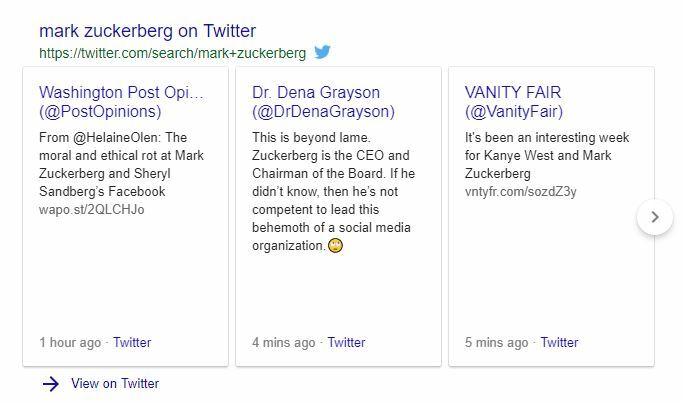 They often appear on the right side SERPs. These are links that appear below a search result description. They offer links to more related areas and sub-sections of a specific website. 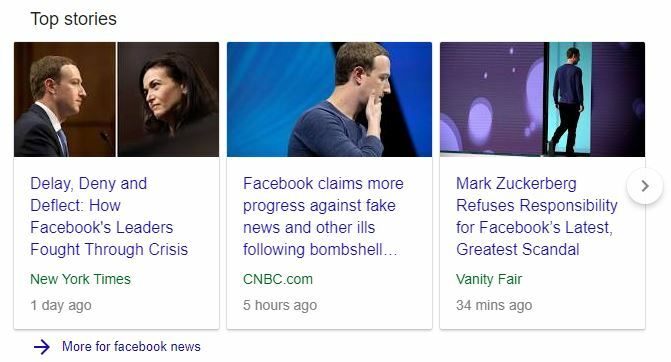 News-related results that appear at the top of a SERP if there are specific current events or recent news related to the search query. These appear for searchers where visual aid is deemed relevant by Google’s algorithm. Image results can appear in any position on the search results page, and are meant to draw in the eyes of searchers who have a high likelihood of searching for an image. The search result page section that offers videos in the results. 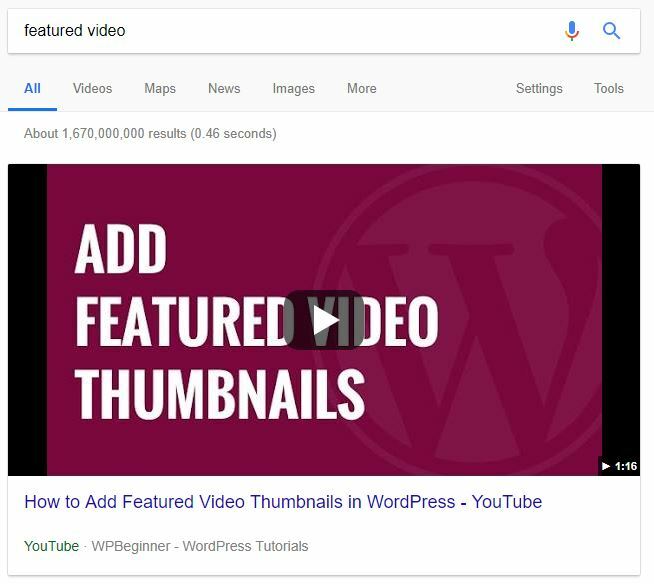 A featured video is a video result that appears at the top of the results page. 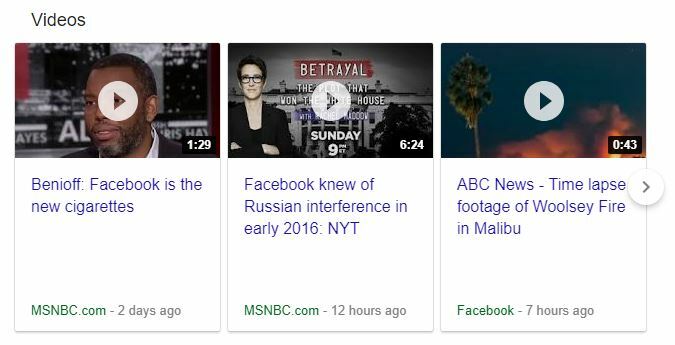 These are more prominent compared to video results as they are at the top, and regular video results can show up anywhere in the search results page. Accelerated Mobile Pages (AMPs) are a type of web-page with extra light-weight coding to ensure a fast and smooth experience on mobile devices. AMPs will be labelled in Google’s search result pages with lightning bolt icons that tell searchers that the website page will be fast and easy to browse on a mobile phone or tablet. Twitter cards usually appear less than halfway down the page. They are meant to display the most recent or trending tweets related to the search query. 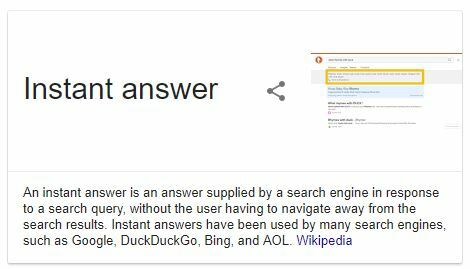 Sourced from Google’s very own Knowledge Graph, these results show when Google can produce a quick answer to a search query. Not all of the SERP features & sections mentioned above will appear for every search query. Different search queries will show different sections based on Google’s search algorithm. Either way, it’s good to know what sections may appear i order to know what you’re looking at, and to know which sections one’s business website could strive to appear in for any given search query.